Well, Nashies, the moment we've all been dreading has finally arrived. After six years on the air — the last two spent at its new home on CMT — Nashville said goodbye to fans with a tear-jerking finale. And while the series' final episode was fantastic, it failed to give us one crucial thing: closure. Did some of the characters get some form of closure? Sure. For that matter, the series should be applauded for not trying to wrap everything up in a neat and tidy bow. The way the show handled the fates of most of the characters felt refreshingly grounded. Take, for example, Daphne. The Disney-movie-happy-ending-version of her send-off would likely have included her taking home top honors on the Nashville’s Next reality competition in which she’d been competing. She instead chooses staying true to herself over appeasing slimy producer Brad, and it costs her the competition. She’s devastated, naturally. However, this later leads to her signing with her Highway 66 — the label her mom started, Deacon runs and which her sis Maddie is also signed to. Speaking of Maddie, she’s another solid example of a more subdued and realistic wrap-up. It would have been easy to have her ride off into the proverbial sunset with Twig. He made a grand romantic gesture for her, and she seemed at first to reciprocate his feelings. But after a pep talk from Scarlett, Maddie realized she had to hold space for her own needs right now. In the end, that amounted to her buying her own sweet little home in Nashville to live in alone. That’s not to say the show wasn’t without any fairy-tale romance, though. After a health scare with Cadence sends them to the hospital, Avery and Juliette begin to grow closer. And by the end of the episode, Avery joins Juliette at her new farm home outside of the city limits to pledge his love for her (again). Aw! Will wound up right where he belonged to — strolling hand in hand with Zach. Although we weren’t privy to their reconciliation, it’s clear they reconnected at some point during the “several months later” time jump. Now, let’s talk about the characters whose endings felt less, well, like an ending. Let’s start with Alannah, whose arc with Avery fizzled out as she spent more time with Brad. The breakup with Avery was all well and good, of course, because it made way for Avery and Juliette to reunite. But after Alannah records Brad sexually harassing and threatening her, she sparks her own #MeToo movement with other women Brad had victimized. He has no other choice but to sell his record label to Deacon and give full custody to Jessie. Which brings us to our next point: Why couldn’t Deacon and Jessie pick back up where they left off? The big obstacle standing in their way was Brad. Once he was out of the picture, it stood to reason they would finally be able to be a real couple. Instead, Jessie just hangs with her son, and Deacon gets hit on by Daphne’s music mentor. Neither one are bad turnouts, but are we wrong for wishing the series would have come full circle with another wedding? It didn't even have to be Deacon and Jessie who made it down the aisle. We would have been perfectly content with Scarlett and Gunnar getting hitched. Yes, we were absolutely holding out hope they'd find their way back to each other! Alas, Gunnar "grew out of" his need to be in a relationship and threw himself back into the band with Will and Avery. As for Scarlett, she apparently fell in love and got engaged. While we would have loved to see that relationship develop on-screen, it was admittedly cute that they got Clare Bowen's real-life husband, Brandon Robert Young, to play her Nashville fiancé. Still, it would have been nice to see all of these stories fleshed out more. We wanted them to be given more room to grow. That's just it, though. The lack of closure we feel is rooted in a more pressing feeling — wanting more. This was never more apparent than in the final moments when the cast and crew all came together onstage at the Ryman Auditorium to sing Rayna and Deacon's song, "A Life That's Good." Seeing everyone together and listening to series creator and EP Callie Khouri say goodbye — to be honest, we're not ashamed to admit it was an emotional moment. It also came with the heavy realization that we're not ready to say goodbye. We still have questions. These characters still have stories to tell and songs to sing. The series was an important watershed in Southern culture, so the hope is that — even though it is ending — the conversations it fostered will continue to take place. And hey, who knows? Maybe we'll see Deacon and the gang again one day. 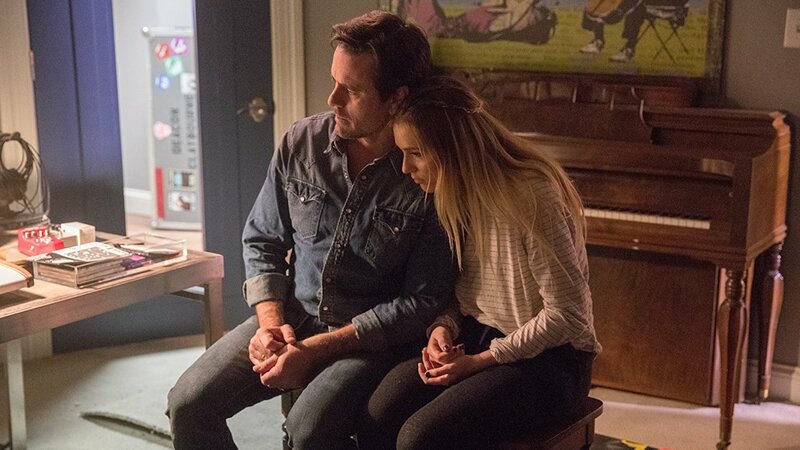 If we're being optimistic, we'd say that perhaps so many storylines were left open-ended so that a Nashville reboot or movie would be possible down the road.